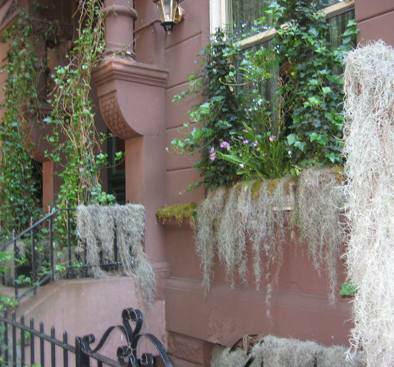 I love spanish moss, but this is over-kill I thought. I shot this on Morton Street, and you’re not seeing the piles and piles of it that is laying along the outer edges which I cropped out. Also, the color seems wrong, although for the life of me, I’m not sure what color I think it should be. I’ve been working like a dog, editing editing editing, and for the past two days I’ve been wrong, apparently, about what day it is. It’s freaking Saturday, it turns out. How did that happen?? Howard and I went down to the river to work, and it was an incredibly nice thing we discovered. We want to do it again. At a certain point a storm came up and we got to see a fantastic lightening storm over in New Jersey. It was beautiful. I felt energized. Looming darkness. Flashes of bright light. Possible destruction. I feel reborn. Go figure.